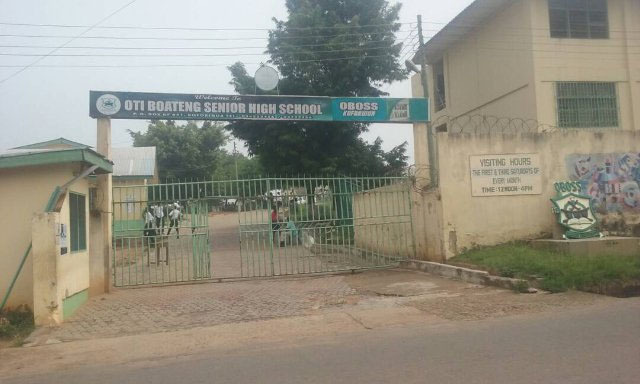 ABOUT 30 students of Oti Boateng Senior High School in Koforidua, the Eastern Regional capital, were rushed to hospital after eating waakye – local staple food prepared with rice and beans – on Tuesday. According to reports, the affected students complained of stomach upset after eating the food, purchased from a vendor at the school’s bush canteen. The students were rushed to the Koforidua Regional Hospital, St. Joseph’s Hospital and other private health facilities in the New Juaben South municipality to receive medical treatment. The headmaster of the school, John Hawkson Arthur, who confirmed the incident to DAILY GUIDE on Tuesday, said he assisted in rushing the students to the hospital. According to him, his outfit immediately drove away the waakye seller to avert further casualties. Mr Arthur said that there was no cause for alarm since some of them had been treated and discharged while a few of them were speedily responding to treatment.